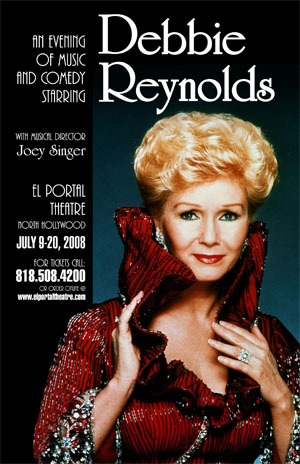 The El Portal Theatre Management Team would like to pay special homage and tribute to Debbie Reynolds who passed away unexpectently on December 28, 2016. Debbie would have been 85 on April 1, 2017. 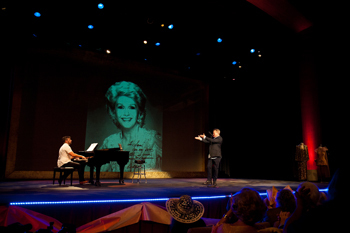 It was always our intent to celebrate that birthday with her on our stage! 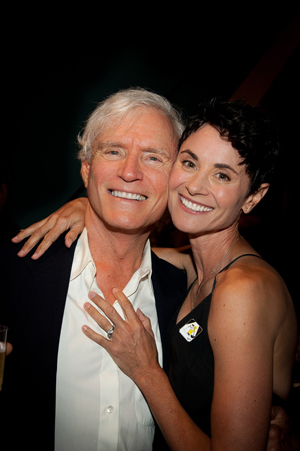 Debbie appeared on the El Portal Stage 46 times between 2004 and 2014. Over 14,000 patrons saw her during that period! 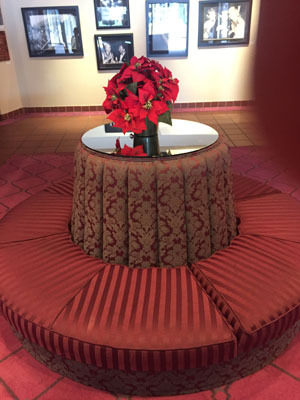 As a young starlet in the 1940’s in Burbank she came to the El Portal to see movies with her friends. 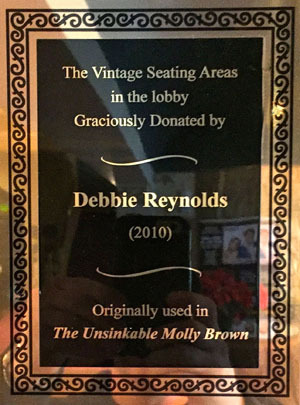 On June 30, 2017 we honored Debbie with a celebration Debbie ... A Night to Remember A Dedication and Renaming of the El Portal Theatre MainStage to the Debbie Reynolds MainStage. 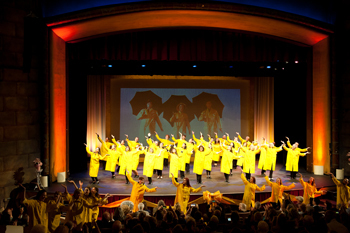 Below are some photos from that evening. when she popped out of the birthday cake. El Portal owner Gary Goodgame. Sam Harris sings "You Made Me Love You" to a blow up of his personally signed photo from Debbie Reynolds. 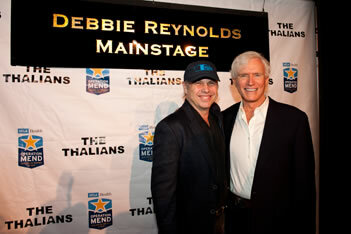 Read the BroadwayWorld.com Review of DEBBIE ... A NIGHT TO REMEMBER a Spectacular Evening at the El Portal.